Anyone want to spend a few nights at a place where your travel and nostalgic needs exist under one roof? If the answer is an emphatic HELL YEAH (as it should be), then we’re totally down to be roomies at this Super Mario Bros.-themed Airbnb — in Lisbon, Portugal, no less. 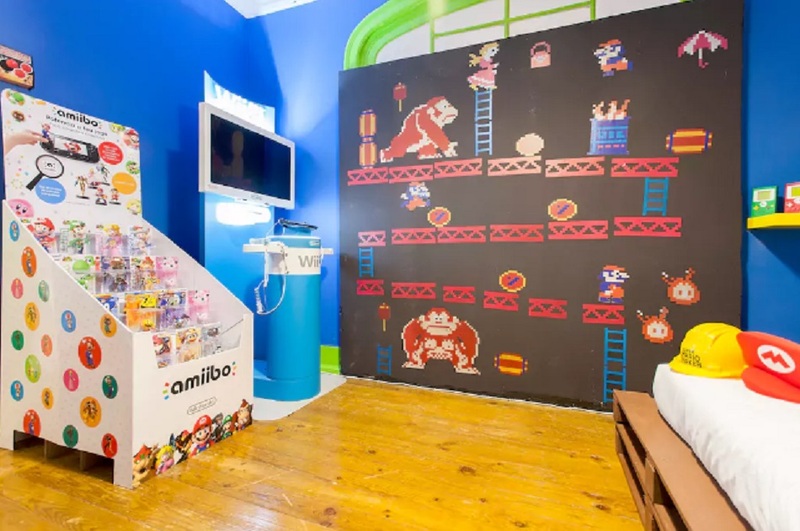 Spotted at Uproxx, the geeked out gamer pad’s Nintendo-inspired décor alone makes it one of the most incredible spots to rent on Airbnb. 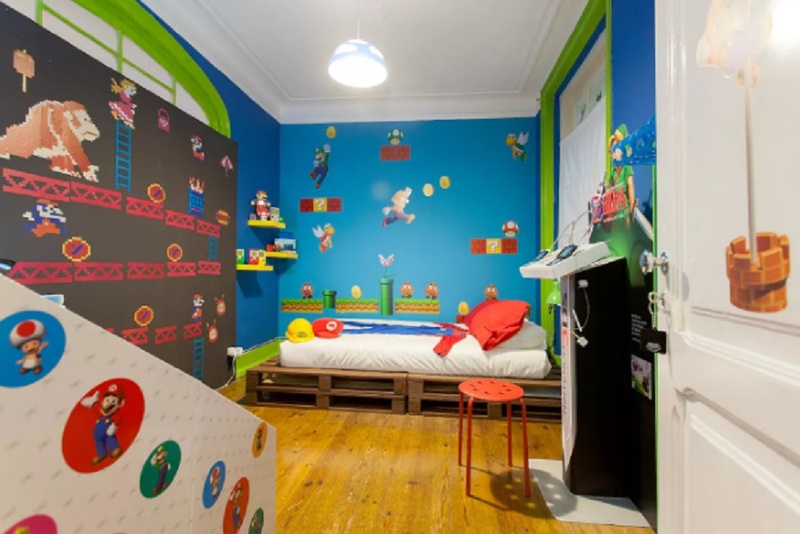 Posted by gamer Andre Farinha, the cushy spot sleeps two guests, boasts a Wii-U with 20 games, a pair of handheld Nintendo 3DS, Super Mario Bros. and Donkey Kong wall illustrations and the pièce de résistance: Mario and Luigi costumes. Oh, also there’s a green warp pipe because OF COURSE THERE IS. Um, anyone else want to climb these walls? 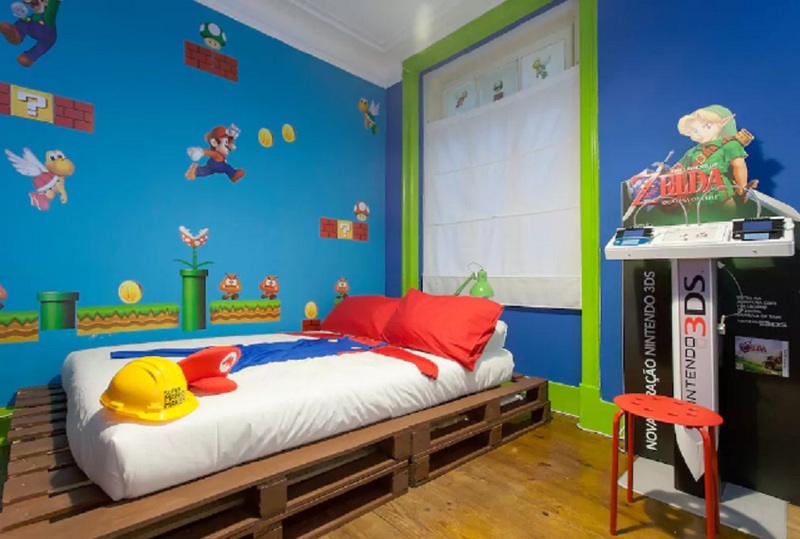 Actually, this isn’t the first Super Mario-themed Airbnb to ever exist, but we love that it’s proof that we aren’t the only ones who refuse to let our obsession with old school video games die.